The French Alps are famed for their skiing. From charming alpine villages, to skiing the huge Alps, France is an amazing place to plan a family ski holiday. Here are our Top Ski Resorts for Family Holiday in France. Courchevel is one of our favorites – beautiful ski villages lead to gorgeously groomed ski slopes – which connect to Les Trois Vallées – the largest ski resort in the world with 600 kilometers of trails (over 370 miles) served by 160 interconnected lifts among 8 ski areas. 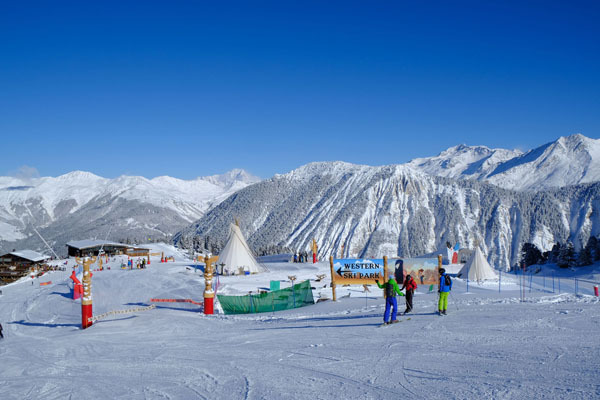 Courchevel is the most famous of Les Trois Vallées ski areas, which also includes Val Thorens and Méribel, and we think its the most charming for family ski holiday. Courchevel 1850 is the highest of the ski village, with the best hotels, restaurants and you’re closest to the higher elevation snow. The chalet architecture is lovely, the sparkling trees make a snow globe atmosphere. Kids will enjoy night skiing Wednesday or the Aquamotion waterpark any time after skiing. Méribel ski resort and village is the heart of the Les Trois Vallées, another delightful alpine ski resort village. Because Méribel is located the very center of this vast ski region between Courchevel and Val Thorens, it’s an ideal ski resort to stay at to ski all three valleys. Méribel is a very classic ski village, with beautiful alpine chalets, gorgeous valley scenery surrounded by the French Alp peaks, and a family friendly atmosphere with a Yeti Park on the slopes, plus plenty to do after the ski lifts stop including the Olympic Park for ice skating, swimming and bowling for the kids. 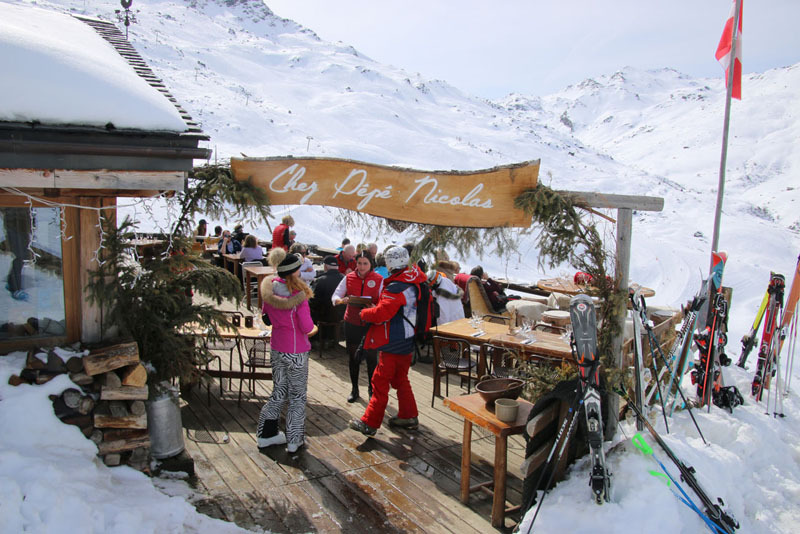 Val Thorens is the largest of the 3 Valleys, with a modern base village and sophisticated lifts shooting off in all direction. Val Thorens has a huge ski school, fun zones for the kids to ski, and plenty of terrain for the whole family. For fun activities aside from skiing La Tyrolienne zip line is amazing, as is the sledding, snow biking, and snow segues. 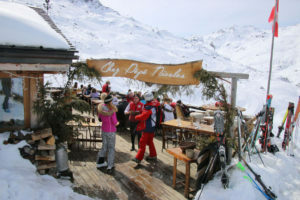 Many of Val Thorens on mountain hotels have swimming pools for après ski water fun for the family. 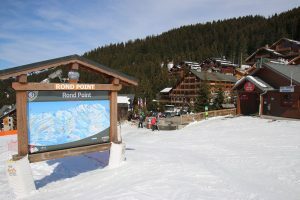 Le Grand Massif is the 4th largest ski resort in France, 5th largest in Europe, located in the Haute Savoie of France, combining 5 ski areas – Flaine, Les Carroz, Morillon, Samoëns and Sixt Fer à Cheval. Hence the translation of Grand Massif- the big big, with skiing on 77 lifts, and 165 miles of skiing. 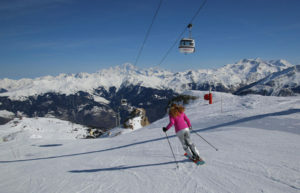 Its family friendly and more affordable than say Courchevel or Chamonix, and we recommend you stay in the more historic and charming ski in ski out villages of Morillon or Samoëns. Val D’Isère Tignes, also called L’Espace Killy for the famous French ski racer Jean Claude Killy, is huge, with over 300 kilometers of skiing – all interconnected by 76 lifts. Val d’Isère is an authentic alpine village – dating to medieval times. Meanwhile, neighboring Tignes is more modern, lacking the alpine charm in the base villages, but it makes up for that on the mountain terrain parks for the kids, super scenic skiing high up on a glacier. A family ski holiday at Val d’Isère Tignes will keep your family well amused with so much skiing and scenery. 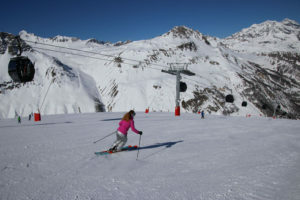 La Plagne and Les Arcs make up Paradiski – the second biggest linked ski resort in the world, behind Les Trois Vallées, includes skiing on two glaciers, 425 kilometers of skiing, and a highest elevation at Aiguille Rouge of 10,583′. 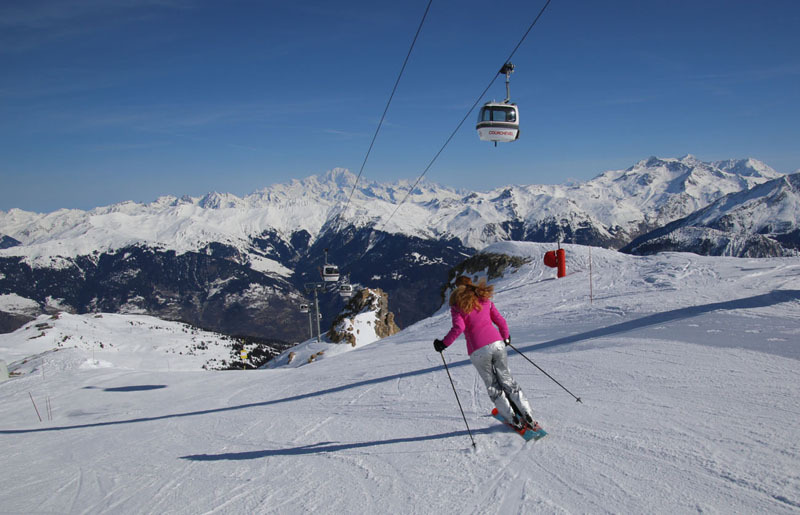 While it’s not as historic or authentic alpine as other French resorts like Courchevel, Chamonix and Méribel, its more affordable with tons of family friendly ski terrain. Chamonix is the epicenter of skiing, and home to the highest mountain peak in The Alps of Europe- the famous 15,632′ Mont Blanc. Located just 25-minutes from Italy’s Courmayeur through the Mont Blanc tunnel or to Switzerland. Chamonix offers vast skiing and a beautiful ski village. Chamonix’s 145 prepared ski trails include the most famous Vallée-Blanche, Grands Montets and Le Brevent, off piste on the legendary Aiguille du Midi, plus over 30,000 acres of off-piste skiing and snowboarding terrain. Portes Du Soleil is a huge ski region, including French and Swiss ski resorts, 6 ski villages in each country. The French side includes big family-friendly ski resorts like Avoriaz and Chatel, Morgins and Les Gets. See our review of skiing Les Portes Du Soleil – the “gateway the sun” (and snow and incredible skiing and scenery). See the Ski Videos of The French Alps, and our guide to the best French family ski resorts.